A standardised failure database would reduce costs across the offshore industry and a sophisticated gas-to-wire process using offshore wind farm infrastructure could transport clean energy back to shore. The trailblazing concepts were just two of many ideas discussed at the first of a series of events to encourage greater cross-sector collaboration and shared innovation between the offshore wind and gas industries in the Southern North Sea (SNS) and other key sectors. 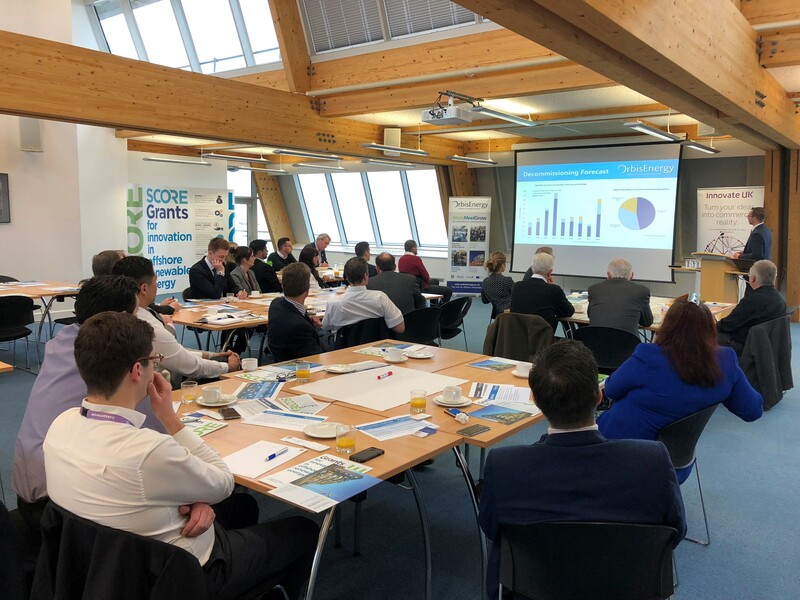 Five new ‘Offshore Wind Meets…’ events have been designed to explore the synergies between sectors and the collaboration opportunities available, with the first of the breakfast seminars concentrating on oil & gas. The event series is sponsored by Innovate UK, whose innovation lead David Hytch said offshore wind had challenges, but it meant businesses in other sectors had the opportunity to help find solutions and grow the region’s economy, including through technology transfer from other sectors. 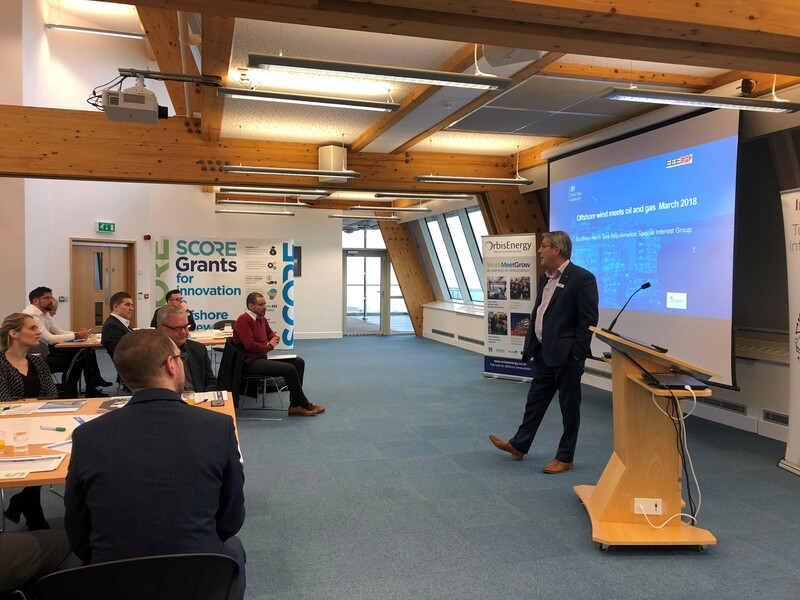 Innovate UK, along with the SCORE innovation support programme, joined companies speaking about their ideas and technologies at the first event at OrbisEnergy offshore innovation centre, Lowestoft, and included Proserv and CREADIS UK. Andrew Dade, Automation Systems Proposals Engineer for Proserv, which operates from its new purpose-built Artemis House facility at Beacon Park Enterprise Zone, Gorleston, explained how Artemis 2G, Proserv’s subsea monitoring and data communications system, was ground-breaking communication technology within the offshore subsea arena. Proserv offered a wireless subsea through-water acoustic communications technology, which can be used as a standalone technology, or with the A2G technology to cater for all offshore instrumentation data processing and communications, he said. Andrew outlined how the application was used in a monitoring system for Shell in the North Sea. The Artemis technology was able to optimise production from a turbine, as well as control and monitor in the most challenging environments, so it was of great interest to the renewables industry, he said. Morten Basse, Managing Director of offshore wind specialist CREADIS UK, which has recently opened an office at OrbisEnergy, said, from an engineering perspective, sensible optimisation needed to be in place before any further advancement, such as software technology, could be applied. A focus needed to be put on to corrective maintenance and on developing a concept to reduce operational expenditure (OPEX) on turbines to increase efficiency, he said. By incorporating shared learning between sectors a standardised database using referencing and terminology in the Failure Mode, Effect and Criticality Analysis (FMECA) would highlight common points of failure and the best resolutions to maximise output and achieve value for money. Simon Gray, EEEGR’s chief executive, spoke of the Southern North Sea’s (SNS) Special Interest Group’s (SIG) work to explore the opportunities between the oil & gas and renewables sectors, including extending the life of infrastructures, hubs and accessing stranded volumes of gas. By using offshore substations there was scope to extract gas from wind infrastructures to be converted into electricity and transported back to shore, he said. Rob Bush, Project Manager for renewables innovation grant fund SCORE, informed delegates of the £6m grant programme, part funded by the European Regional Development, for companies developing new products, processes or ideas. The event concluded with table discussions and consideration of the top two ideas for cross-sector innovation and which idea the region should focus on. Further Offshore Wind Meets … events will explore other key areas of Wave and Tidal, Defence, Digital and Space. Johnathan Reynolds, Business Development Lead at OrbisEnergy said the series had been designed to challenge conventional thinking. “Our region is a major energy hub and it is extremely important to break down the barriers between the sectors and explore shared synergies and innovation from a supply chain perspective to reduce costs and improve efficiency. The Offshore Wind Meets… series has been designed and delivered by OrbisEnergy with sponsorship and support from Innovate UK and SCORE. *The next Offshore Wind Meets … Wave and Tidal takes place on Wednesday, April 25, at OrbisEnergy from 8am to 11am. Picture Captions: The first of five new Offshore Wind Meets events has taken place at OrbisEnergy in Lowestoft. Pictures: FurtherMore Marketing. Media Contact: Produced and distributed on behalf of OrbisEnergy by TMS Media. Contact Johnathan Reynolds, Johnathan.Reynolds@nautilus.uk.com, 01502 563368, or Louisa Lay, louisa@tms-media.co.uk, 01493 662929.